With its peaceful and scenic palm fringed backdrop the family owned and run Tasik Ria Resort & Spa offers not only luxury and comfort but also a level of warmth and hospitality which in today's frantic world is a rarity. All rooms have full air conditioning, mini bar, safety deposit boxes, en-suite bathrooms, cable tv, IDD phone and coffee/tea making facilities. The rooms are conveniently situated around the large free form freshwater swimming pool which serves tropical drinks and snacks all day long whilst the Sunset Jetty Bar overlooks Manado Tua Island and offers panoramic sunset views; simply the perfect place to relax at the end of the day. Along with a luxurious spa where you can get an array of treatments, there is a choice of mouthwatering menus that embrace both East and West, served in the relaxed atmosphere of the Bunaken Restaurant. Or, why not enjoy a romantic candlelit dinner for two either on the beach, around one of our two pools or undercover and away from prying eyes in our intimate wooden hideaway. Anywhere you choose, you can be assured of dedicated staff on hand for your attention. The three-star hotel is strategically located in the province's cultural and commercial capital, just 15 minutes from the airport and a mere two minutes away from some of the island's finest beaches. The Hotel Santika Palu is your ideal base for any visit to Central Sulawesi as they combine local traditions with a natural touch to bring their guests the very best in Indonesian hospitality. At Santika, you can always be sure of a warm welcome in your "home away from home". This Hotel offers a restaurant, sky lounge and lobby lounge, Fitness center & Swimming pool, Free WiFi, LCD TV, Coffee/tea, minibar and safe deposit box in every room. At an altitude of 700 meters (2,300 feet) with views across to a huge mountain range, the Toraja Heritage Hotel follows the architectural style of traditional Torajan clan houses with a massive roof shaped like a ship’s prow. Inside however, the resort has been furnished to the highest standards to provide the perfect blend of tradition and comfort. The Toraja Heritage Hotel is the first four star International hotel in Toraja. The 134 rooms and suites have marble bathrooms and balconies facing the rice fields. Toraja handicrafts have been used to great effect in all the guest rooms, and all have international standard amenities. 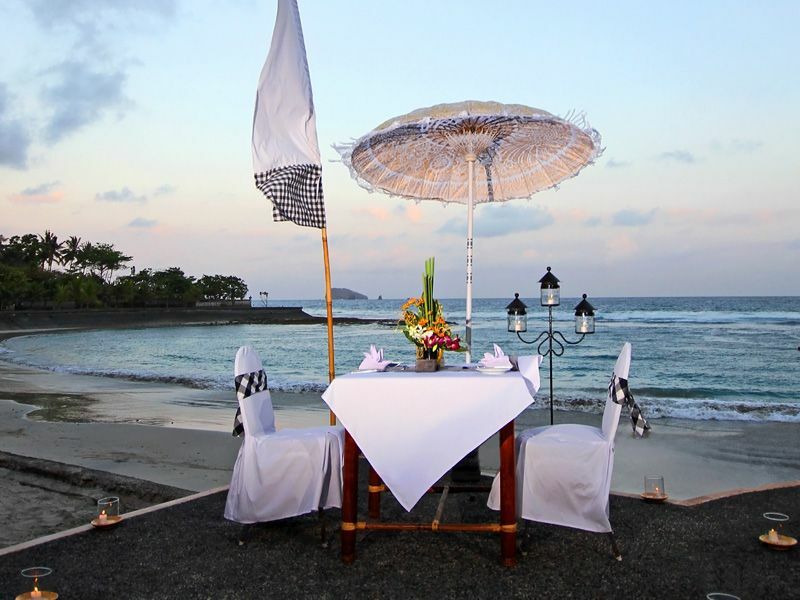 Escape from the hustle bustle of South Bali and embrace the tranquillity of peaceful East Bali. 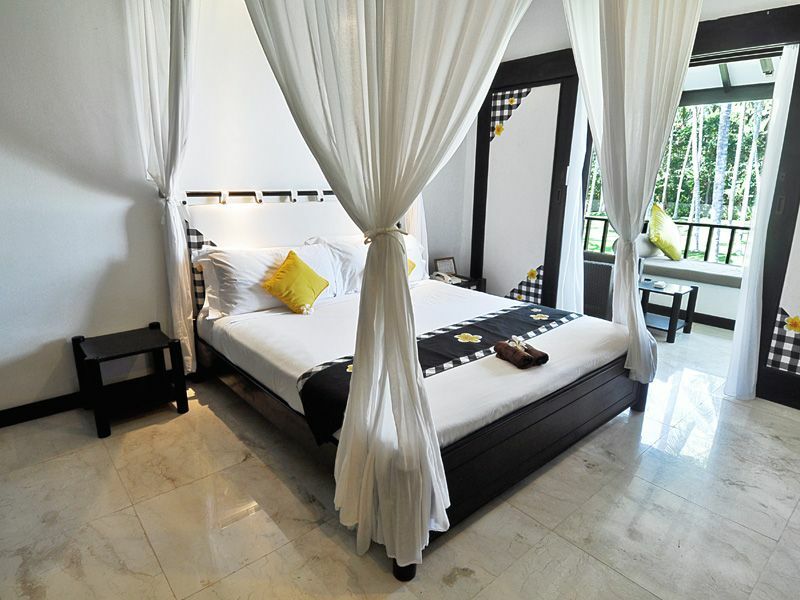 This charming resort is set within a coconut grove garden that gently rolls on to a beautiful private white sand beach. Natural colours and local materials have been blended to create a resort that harmonizes with the environment. 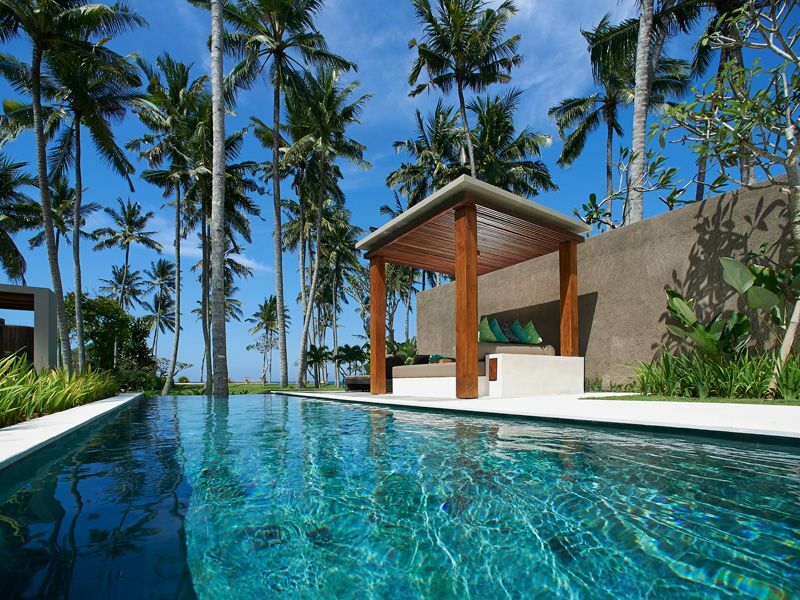 The traditional architecture utilizes local materials from Bali and neighbouring Indonesian islands, while the turquoise waters of the dreamy, palm fringed swimming pool appear to overflow into the azure sea. This welcome oasis is where the dream begins. The rooms and villas are surrounded by a lush flower filled garden and by the beautiful coconut grove garden. Each room is completed with air conditioner, bathroom & shower, mini bar, satellite television, safe deposit box, tea and coffee making facilities, IDD telephone, terrace or balcony. Free WIFI is available in all rooms and public area. The Lokha Ubud is a charming hotel located in the traditional Balinese village of Keliki on the outskirts of cultural Ubud. It has been designed to celebrate local artistry and embraces the natural beauty of the surrounding environment. The property is encompassed within a parcel of tropical landscape that descends down to the banks of the Wos River. It is a timeless locale overlooking a scenic ridge known as Bukit Cinta, which was once a secluded courting spot for young Balinese lovers. 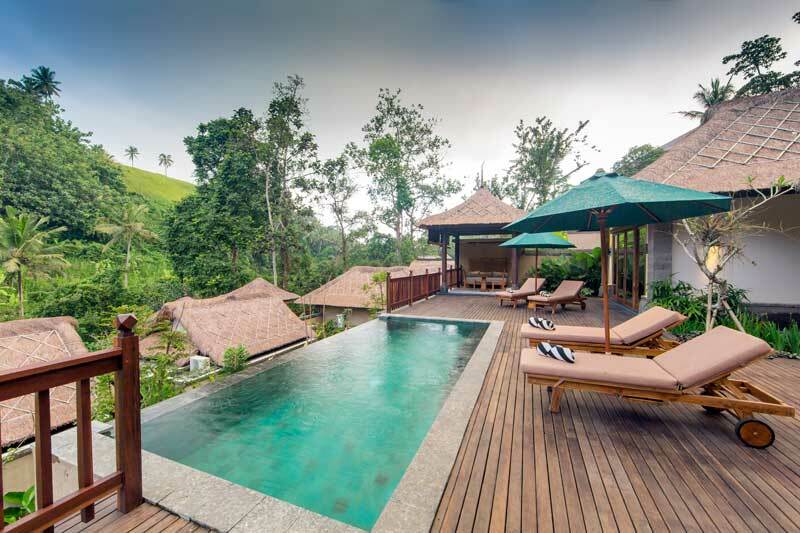 The Lokha Ubud is where guests can stay in style and reconnect with nature away from the hectic pace of mainstream tourism. Located in the private beachfront and built in traditional Balinese thatched roof architecture, Puri Bagus Lovina offers spacious villas. This beautiful resort provided plenty of space between each villa for stunning tropical gardens to enhance your privacy. The guest rooms offer touches of old Bali, with large open-air verandah and customary open-air showers in the privacy of interior gardens. 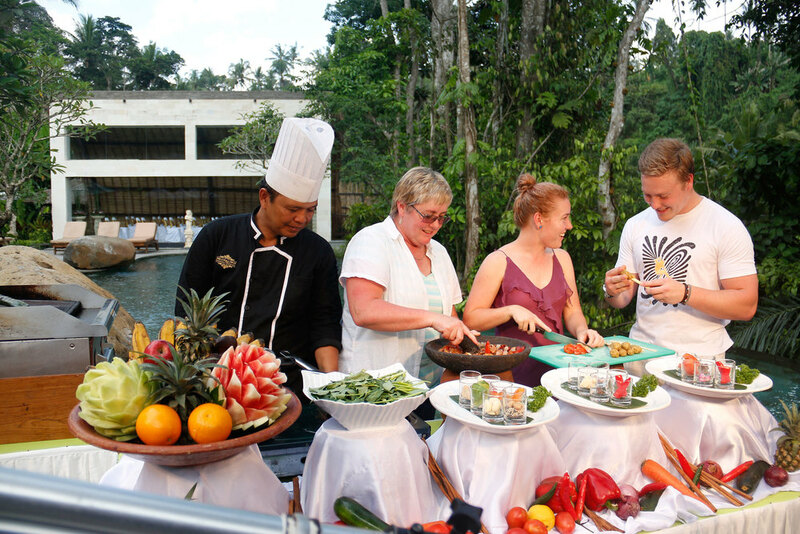 It has an open-air restaurant with spectacular views of the sea and the gardens, provides both International and Indonesian cuisine. Throughout the day, the pleasant Balinese staff are happy to serve you with light snacks and tropical cocktails at poolside.